The Next Generation Optical Networking event is the flagship event of the Next Generation Optical series covering Europe, Asia, US, Africa and the Americas. The 18th edition of the event will take place 28 June to 1 July 2016 and will see professionals from the entire optical networking ecosystem – from service providers, data centre operators all the way to the system vendors and component vendors – all gathered under the same roof. Attendees will have the opportunity to meet and network with like-minded industry professionals as well as learning about the latest trends and challenges facing the industry today and in the coming years. Network operators are reaching a critical juncture, says ADVA Optical Networking. The Internet of Things, 5G and gigabit cities are driving demand for greater bandwidth, faster delivery and lower latency. These demands are overwhelming today’s networks, and operators must separate hype from reality when considering new technologies. At NGON 2016, experts from ADVA will explain which technologies present the greatest opportunities for network transformation. ADVA Ensemble CTO, Prayson Pate, will talk with operators about the right questions to consider when deploying network functions virtualisation (NFV) and how to deploy virtualisation for service agility across brownfield and greenfield environments. Jim Theodoras, VP of global business development, will discuss critical trends in the data centre interconnect (DCI) arena that will affect internet content and communication service providers, including the increasing importance of encryption, peering, open optical line systems and the ongoing need for improved power efficiency. Anritsu, a provider of test and measurement equipment for the communications market, offers a complete range of products for research and development, production test, as well as for installation, commissioning, maintenance and monitoring applications. The company is best known for its optical time-domain reflectometers (OTDRs), optical spectrum analysers and signal quality analysers. Of particular focus at NGON 2016 are the Network Master Flex MT1100A and Pro MT1000A field-portable transport network analysers, and how they can address current challenges. Convergence of the metro-core with mobile backhaul and fronthaul networks is a major trend driven by the massive growth of data traffic over mobile devices. The evolution of high-density optical interfaces – such as CFP2, CFP4 and next QSFP28 – allows 100Gb/s transmission with higher efficiency. Anritsu’s Network Master family of analysers now provide CPRI/OBSAI connectivity tests and are compatible with all standard released optical modules, to support R&D, manufacturing, installation and maintenance of integrated networks operating from 1.5Mb/s to 400Gb/s. At NGON 2016, Coriant will showcase the latest advances in its expanded portfolio of packet optical transport hardware and software. Coriant Groove G30 DCI Platform provides an unmatched 3.2 terabits of capacity in a compact 1RU form factor and up to six times higher system density than comparable products for DCI applications, according to the company. Coriant CloudWave Optics employs a market-leading signal processing engine, optimised integrated photonics, and embedded software that delivers flexible transmission at 100G (QPSK), 150G (8QAM), and 200G (16QAM) with ultra-long reach (up to 5,000km terrestrial) and industry-leading high density and low power consumption. Coriant's Pluggable Optical Layer is an innovative and flexible new approach to building the metro optical layer based on compact pluggable modules that enable operators to build a wide variety of network architectures to meet specific needs while being able to add functionality with additional pluggable modules as application needs evolve over time. At NGON 2016, Infinera will discuss network transformation to meet the exponentially growing bandwidth requirements in transport networks. This is being driven by the rapid growth of cloud, increasing broadband access speeds and penetration, 4G mobile data, the Internet of Things and online video. This unprecedented growth in bandwidth demand is driving the need for new innovations to support massive scale of on-demand network traffic. New innovations in coherent optical technology are being fuelled by advancements in electronics and cutting-edge photonics using large-scale photonic integration. These new innovations are redefining the way the next generation networks will be built with new levels of flexibility with massive pre-deployed multi-terabit capacity, sliceable photonics and on-demand software-defined bandwidth activation. This session covers such a network transformation with latent pool of massive network bandwidth that is fully programmable with software-defined networking (SDN) control through which service providers could deliver innovative new services and optimise the overall network for lower capital expenditures. Lumentum will showcase its range of optical white boxes, to support a software-defined networking (SDN) ecosystem in data centre and metro/edge DWDM transport environments. The initial products include a family of configurable rack-mountable optical white boxes: terminal amplifier, line amplifier, mux/demux, and reconfigurable optical add-drop multiplexer (ROADM). This product family provides a set of configurable building blocks to help network builders meet specific performance and cost requirements in a variety of applications. The initial products based on the SDN white box platform target simple point-to-point data centre interconnect (DCI) applications, as well as ROADMs for metro-edge optical transport. Lumentum says the SDN optical white box platform is designed for simplicity and scalability, with open interfaces. These open interfaces ease the integration of white boxes into SDN controller/orchestrator layers, enabling system integrators and network operators to deploy and turn up services. Visit Lumentum at booth #6. MRV Communications (booth #33) will be participating in the two sessions. On Wednesday 29 June, at 12:30 – 12:50pm in the optical track, MRV executives will discuss ‘The Top 8 Data Centre Interconnect Applications and How Optical Transport Enables Them’. Later the same day, at 3:15 – 3:45pm, they will take part in the session with the title ‘Inter Optical DCI – Capacity & Connectivity’. Featured on MRV’s booth will be OptiDriver, the most recent addition to MRV’s portfolio of optical transport platforms. OptiDriver empowers high-growth cloud connectivity by offering high 10Gb/s density and paves the way to 100Gb/s by offering more capacity, intelligence and ease-of-use. Engineered to support the latest advances in optical technologies, including intelligent ROADM networks and 100Gb/s transport, OptiDriver is designed from the ground up to reduce capital and operational expenses. At NGON 2016, VPI Photonics will showcase VPIlinkDesigner, an intuitive graphical approach to optical link design, provisioning and performance assessment. This software tool is a replacement for and, more significantly, a tremendous improvement over the usual tedious manual network design, the company claims. Enabling the optimal placement of photonic items such as erbium-doped fibre amplifiers (EDFAs) and dispersion compensating elements, VPIlinkDesigner also provides performance analysis every step of the way. Thus, for each channel, the user obtains an instant calculation of performance metrics as elements are placed in the design. The tool is well suited to a variety of scenarios, from a simple point-to-point link to a network consisting of a collection of interconnected rings. Users can build their own library of network elements using the provided templates for all major types of optical components typically found in optical networks. VPIlinkDesigner assists in the complete design process by including built-in tools that create customisable performance reports as well as the bill of materials. Xtera Communications is a turnkey provider of high-capacity, cost-effective long-haul optical transport systems for both terrestrial and submarine applications. Using novel dry and wet transmission equipment, including subsea repeaters based on Raman optical amplification, Xtera can help internet content providers, governments build new subsea infrastructure, upgrading existing cable systems under water, or recovering and re-laying existing cable assets. Xtera will deliver two presentations at NGON 2016. 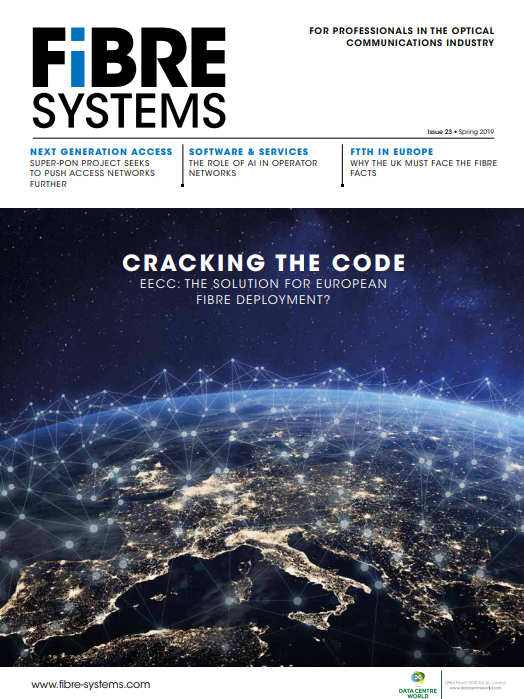 The first examines solutions for long-haul data centre interconnect (DCI); the second considers how to turn power grids equipped with optical ground wire (OPGW) cable into backbone capacity networks. Xtera will also participate in the panel discussion about intercontinental networks.